Compac IAP365A, IAP367A, IAP365 and IAP367 dial indicators are interchangeable with all Compac bore gages .5" and smaller. For more information on this indicator see page 39 (inch) or page 169 (metric). For Compac bore gage repair service, see page 30. These are the same parts used by Interapid and SPI dial bore gages made in Switzerland. 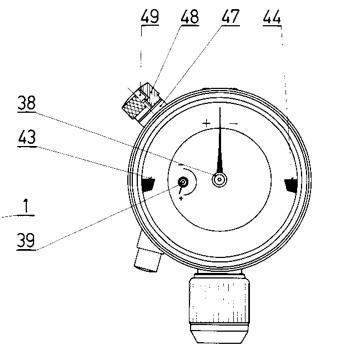 Parts for this bore gage dial indicator are no longer available for sale. This page is purely for reference. If bore gage repairs are required, please refer to page 30.